Boy bands are all about momentum. Like whale sharks, they’ve got to keep moving or they die – constantly recording and touring to stay at the forefront of fans’ minds. So it was uncommonly brave of 5 Seconds of Summer to take two years off to work out where their future lay. The Australian quartet ended up reconvening in Sweden, where they buffed their songwriting muscles with the likes of Rami Yacoub (Britney, Madonna), Carl Falk (Ariana Grande) and Julia Michaels (Justin Bieber). 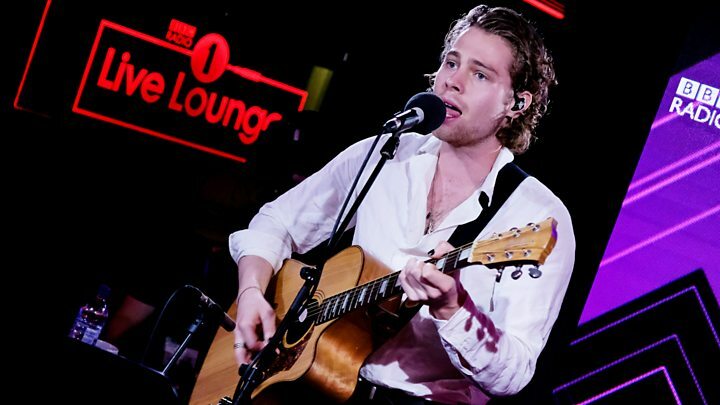 “The Swedish style of songwriting is so mathematical,” says 5SOS singer Luke Hemmings. The scientific approach eventually produced Youngblood – a bright, shiny pop record that retains the band’s early, punkish ethos. And, proving that boy bands don’t need to be worked into an early grave, it’s just entered the UK charts at number three, above the new album by Beyonce and Jay-Z. Using the album’s song titles as inspiration, we put a series of random but revealing questions to Hemmings and bandmate Michael Clifford. You’ve called this the “first album we recorded as adults”. When did you first feel like a proper grown up? Luke: It’s hard to explain because we have to do serious, adult things – we run a business and people work for us – but we’re still like kids. I just bought a Nintendo Switch! Michael: I think we looked at songwriting in a more adult way this time. When you’re young, you write off instinct and you sponge off other artists. Once you get to adulthood, you start to come up with different ideas. Luke: Yeah, our second album is very much, ‘We’re a band and we’re going to play… so screw you!’ On this one, we only added guitar parts and harmonies when they were needed. Which musician would you bring back from the dead, if you could? Luke: Michael Jackson, for sure. If he’d stayed alive, pop would be a completely different realm. I would have loved to hear his take on where music was headed. Michael: “Thanks for that great interview.” To the guy before you. Do you have an embarrassing Valentine story? But we got there and it literally looks like the 1960s. Not in a good, Mad Men way. It’s raining, it’s depressing, the tide is all the way up to the door. The beach is just rocks. It was pretty embarrassing. Michael: That wasn’t much of a sad story. You’re still on a beachfront house in a Malibu. Luke: But the house sucked! How does counting syllables improve your lyrics? Michael: Well, it’s little things. So if the verse is quickfire, da-da-da-da-da, the bridge will be quite elongated and legato [smooth, with no breaks between notes]. On Talk Fast in particular, the melody follows the guitar riff – it’s very like The Police. Do you have to build walls around 5SOS to protect your sanity? Luke: I wouldn’t say it’s just particularly with us. I’d say it’s with any artist. When you’re driven to your absolute limit, working 14 hours for 14 days straight, you have to know what you want, and not listen to all this other crap outside. Michael: That said, if you’re closed off all the time you’ll have a pretty unhappy life. There are times when you have to open up. This song has seven writers. How many is too many? Michael: Seven writers? Who is on there? I can’t remember. Track 10: Why Won’t You Love Me? What’s the strangest thing a fan’s done to get your attention? Luke: The weirdest ones are adoption papers… people ask us to sign those. You can never really tell if they’re real. Michael: Someone bought us a star in the sky once. Luke: But then we looked it up and apparently you can buy a star for 16 cents. Michael: I don’t have my wallet on me – but there’s some Russian money that’s been in there for months. Luke: That’s kind of sketchy… But I don’t use cash except in America, because it’s got such a culture of tipping. Michael: No-one’s doing something for free there. Michael: Without getting too deep, I’d say it’s over-thinking and over-analysing every part of my life. Luke: I’m going to say chocolate. Michael: Oh damn, I could have said something like that! Can I change my answer to cheese? What’s the best location for a first date? Michael: He’s pretty norm. I’m going to say laser tag. Babylon was one of the first civilisations to write down a complete legal code. If you could enact a law today, what would it be? Luke: I would ban guns in the States. It’s just such an epidemic that’s been happening for so long. I think if there was less violence in the US, some of the terrible things that have taken place overseas might not have happened. I know that’s hopeful and maybe naïve, but that’s what I think.